If you’re one of those captains in Star Trek Online that really loves your ship, then this is the news for you. 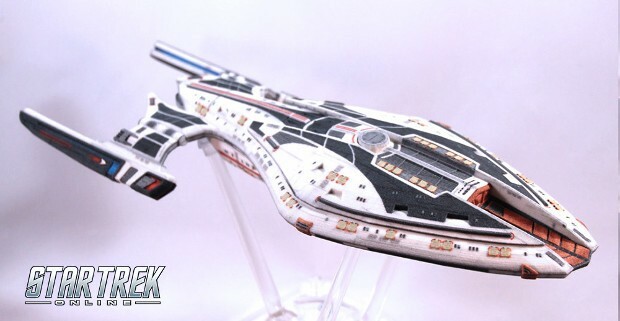 Cryptic Studios, Perfect World, and CBS have been working with 3D prnting company Eucl3D to offer players a way to obtain models of their very own — as in the ones they actually own in game — ships. As part of the deal, players will be able to print any ship they own, including their customizations and variants. This includes personal ship names and registries. According to STO Executive Producer Stephen Ricossa players will be able to own some very unique 3D printed ships due to the more than 400 in-game vessels and the millions of customization options. No price has been given for these as of yet, but looking at the other offerings on the Eucl3D site, they’re going to run at least $30 — if not more.